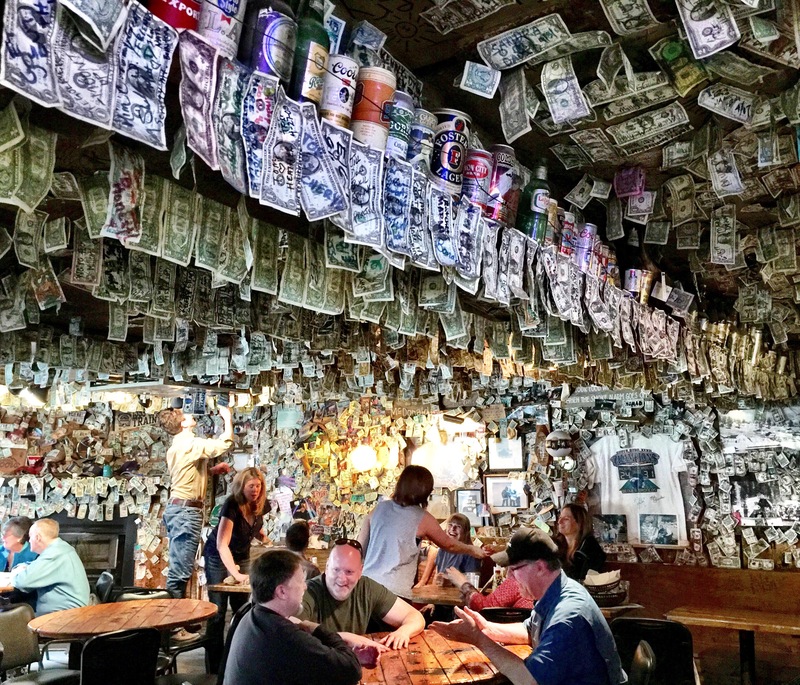 The intricate interior of the fantasticly fun Bucksnort Saloon in Sphinx Park, Colorado. Built in the late 1800’s this building was originally a mercantile store that served the men of the Denver and South Park railroad. Bring a dollar or your business card and leave a legacy! Your plans are very intricate! 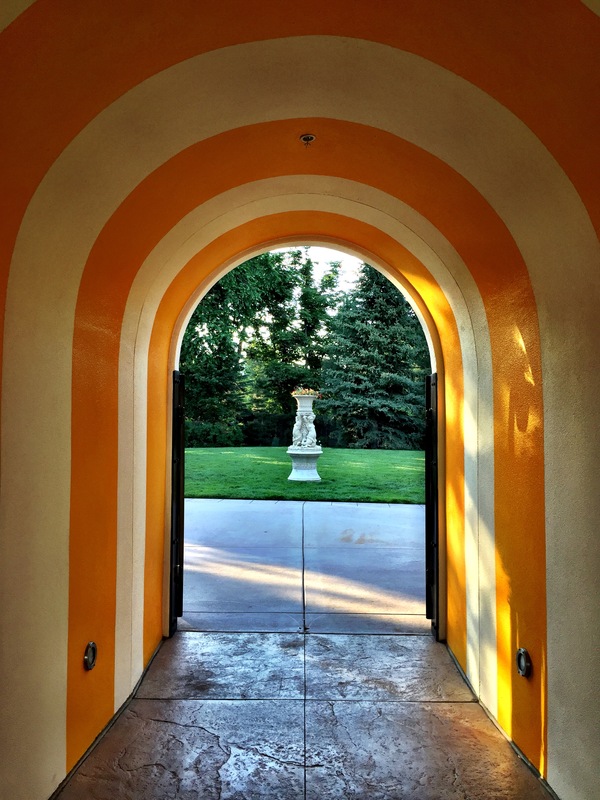 The lovely West Baden Resort in French Lick, Indiana is full of symmetric beauty for this week’s challenge. For more of this fantastic hotel, click here. 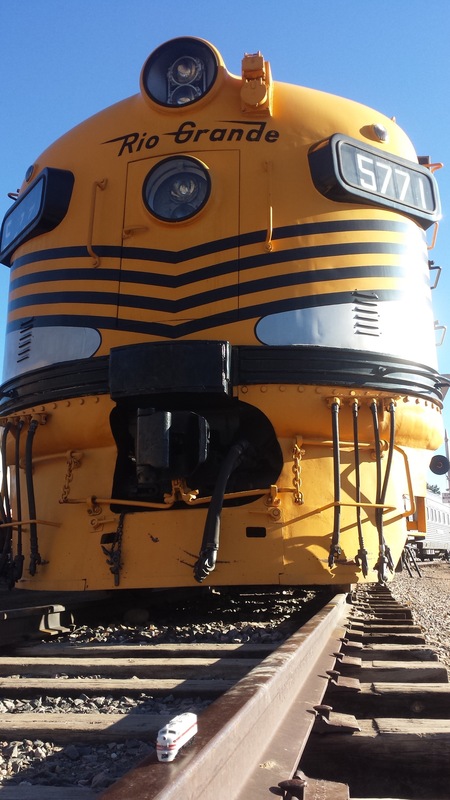 Taken at the Colorado Railroad Museum in Golden, Colorado. The small locomotive is an N scale FT, 160th of the real size. The F9 behind it is, of course, the real deal. The first Guest Artist post on my blog from my fiancé, Craig, for the Scale photo challenge. Keeping toasty warm this weekend at the natural hot springs in Glenwood Springs, Colorado. Established in 1888, it is one of the hottest springs in the world at 104 degrees, with 3.5 million gallons of water flowing through it each day. Simply fabulous! 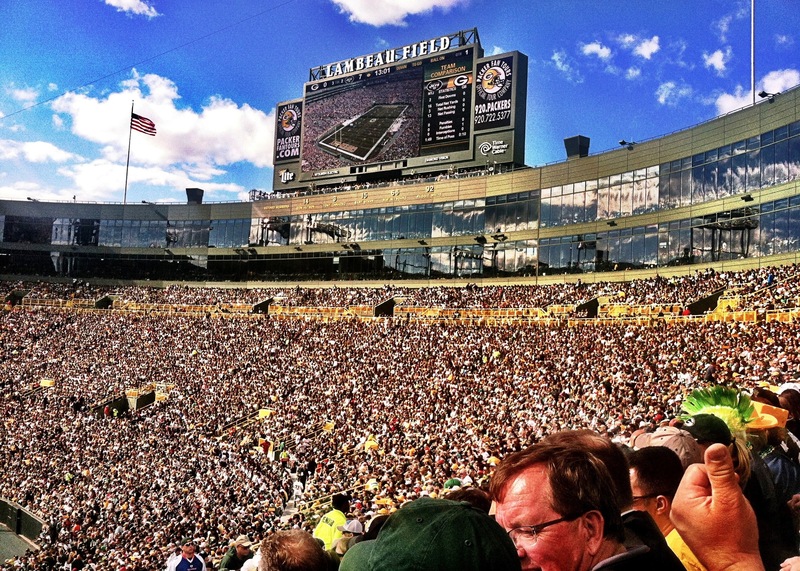 An enormous mass of Humanity gathered at Lambeau Field, the third largest NFL stadium, for a Green Bay Packers game. With the capture on the big screen this shot includes most of the 78,000 fans. Go Pack Go! 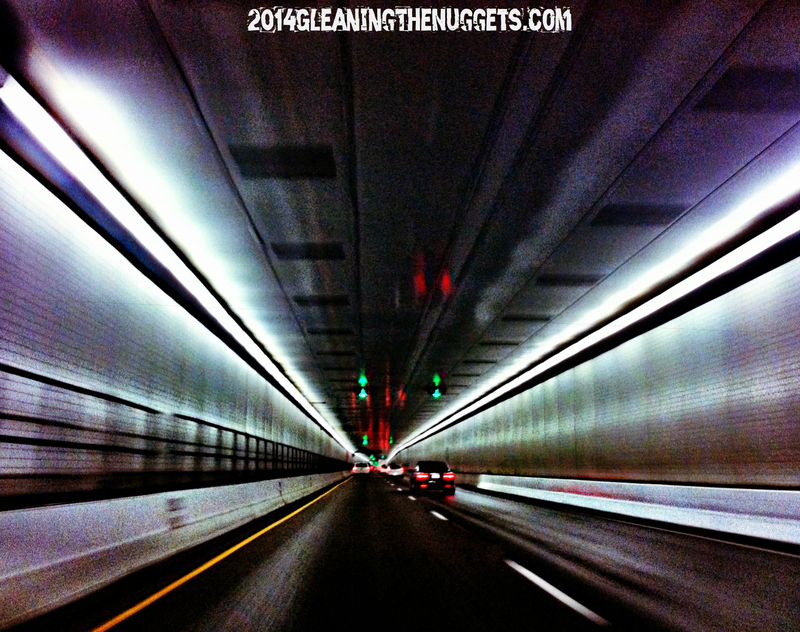 Jumping into the Fray of this week’s photo challenge is the Eisenhower Tunnel, the highest vehicular tunnel in the world at an elevation of 11, 158 feet and the longest US mountain tunnel at 1.6 miles long. 60 miles west of Denver, it runs under the Continental Divide and cost 260 million dollars when it was built 40 years ago. It is a monumental feat of engineering. 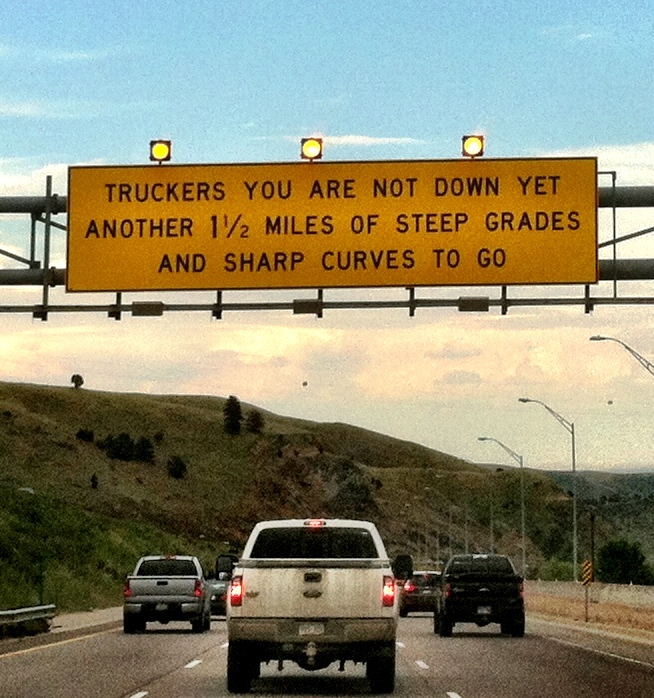 After you pass through the tunnel and start the downward trek toward Denver, there are numerous signs like the one below, warning truckers of the dangerously steep climb down the Rocky Mountains.